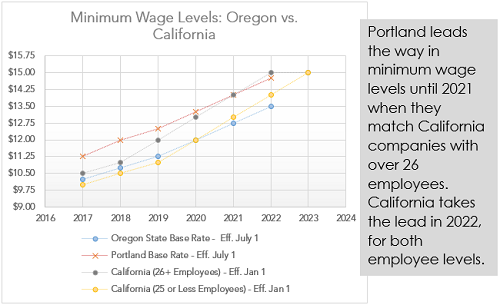 So you may have heard rumblings about companies who are paying astronomical minimum wage rates. A California fast food restaurant recently reported they will be raising minimum wage to $17.00 per hour for their employees. Restaurants and bars in New York City, facing higher costs such as from minimum wage hikes, are selling use of their restrooms and space in their buildings to bring in extra money. The Lower East Side’s Hotel Chantelle and a half dozen other businesses are allowing a six-month-old startup called KettleSpace to sell space in their dining rooms during off hours for use as offices, according to a March 25 New York Post article. 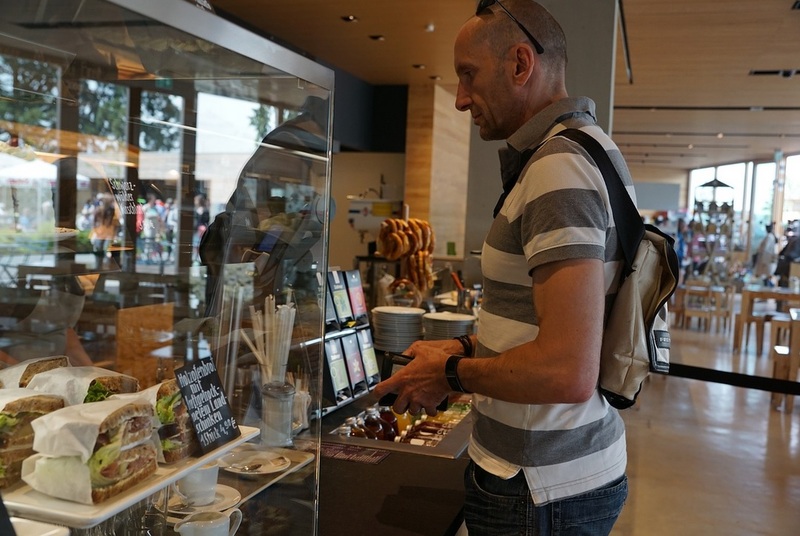 The cost to laptop-using freelancers and entrepreneurs ranges from $25 for 10 hours to $99 a month for unlimited access, sometimes with free coffee and snacks included. That’s much less than competitors such as WeWork, where the least expensive office-sharing plan costs $220 a month. 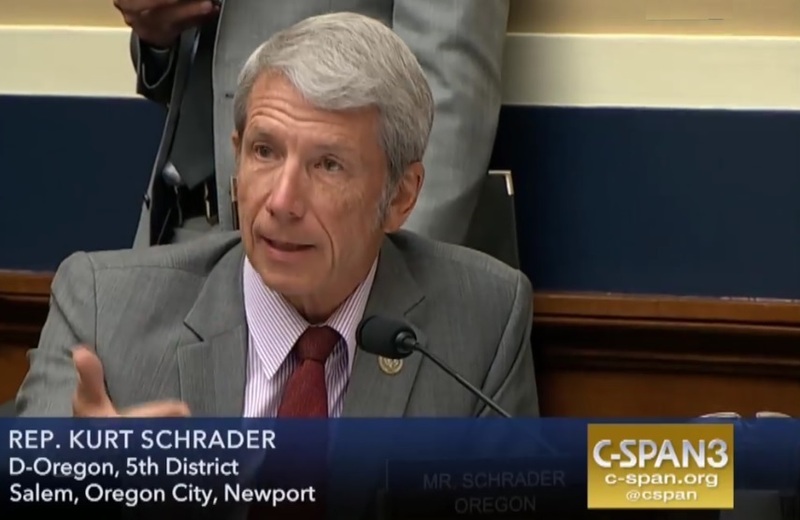 Business and community leaders from all parts of Oregon recognize the urgent need for state budget and tax reforms – especially addressing the rising PERS pension costs sapping budgets for schools, local governments and state services. That’s what Oregon Business Plan partners learned over the past six weeks in a series of meetings with business groups and community leaders in Southern Oregon, Central Oregon, Eastern Oregon, the Willamette Valley and on the Oregon Coast. Participants in these meetings showed an appetite for building a stable fiscal foundation for the state that can support wise investments to create a strong education system and build a workforce prepared for the future. Other key regional priorities were identified as well. Iran’s National Soccer team scrambled to find footwear only a few days before competing in the World Cup in Russia this month after Nike announced it could no longer supply the team with boots because of economic sanctions. Nike had provided the squad with boots in the past, but after President Trump withdrew from the 2015 international nuclear deal, global economic restrictions, which had been eased, were put back in place, according to ESPN.com. 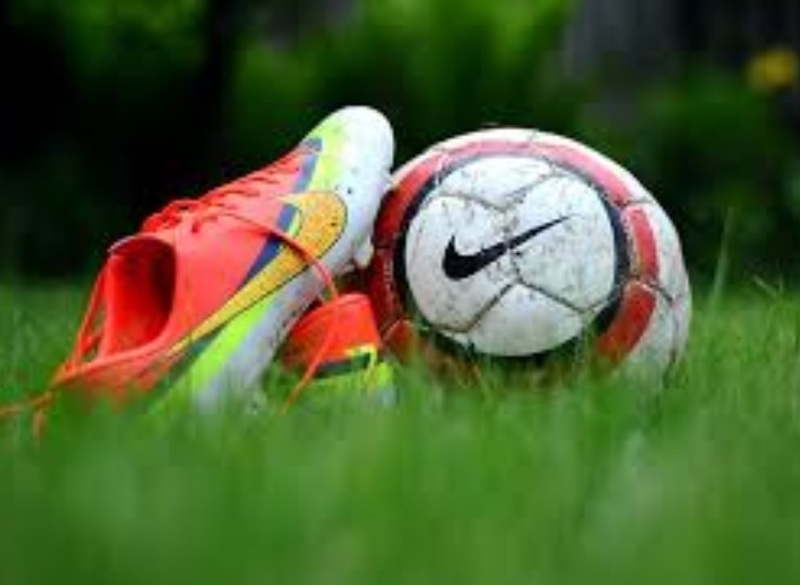 That meant Nike, as a U.S. company, could face hefty fines if it supplied the team with boots. 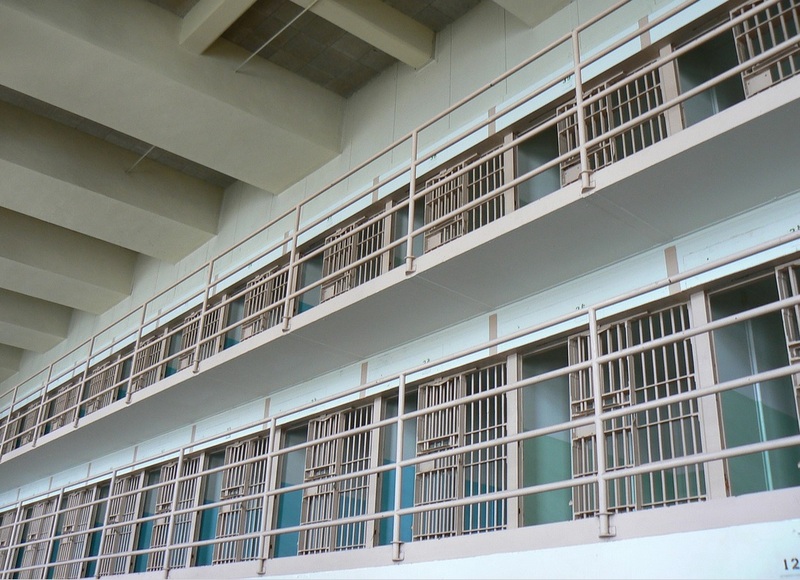 In federal court, Dan Heine and Diana Yates were sentenced to 24 and 18 months in prison, respectively, for bank fraud and falsifying bank entries, reports, and transactions. A jury convicted Heine and Yates, former executives at the Bank of Oswego in Lake Oswego, Oregon, of one count each of conspiracy to commit bank fraud and twelve counts each of falsifying bank entries, reports, and transactions in a trial ending in November 2017. A group that includes a former Nike vice president and the former television voice of the Portland Trail Blazers wants to build a major league-ready ballpark. They’ve made offers on at least two pieces of land, including the current headquarters of the Portland Public Schools headquarters. Their proposal raises more questions that it answer. 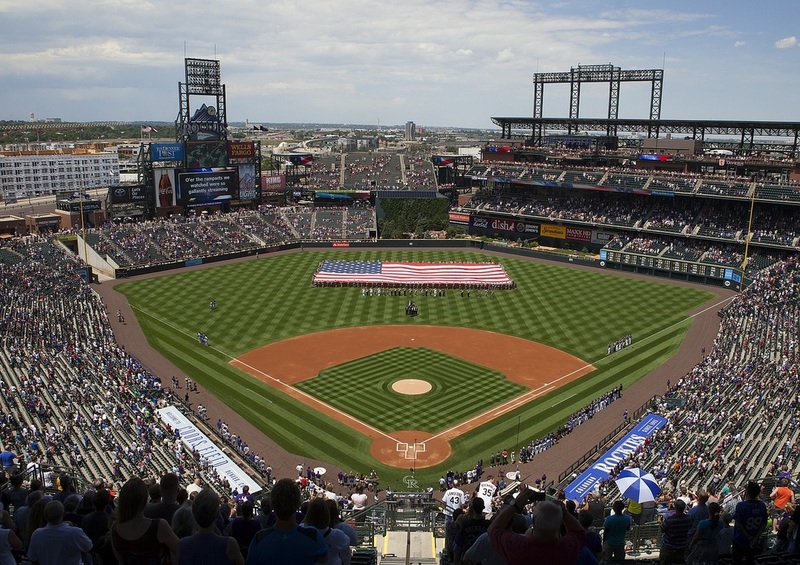 Here are eight things to think about before the mayor tosses the first pitch on opening day. 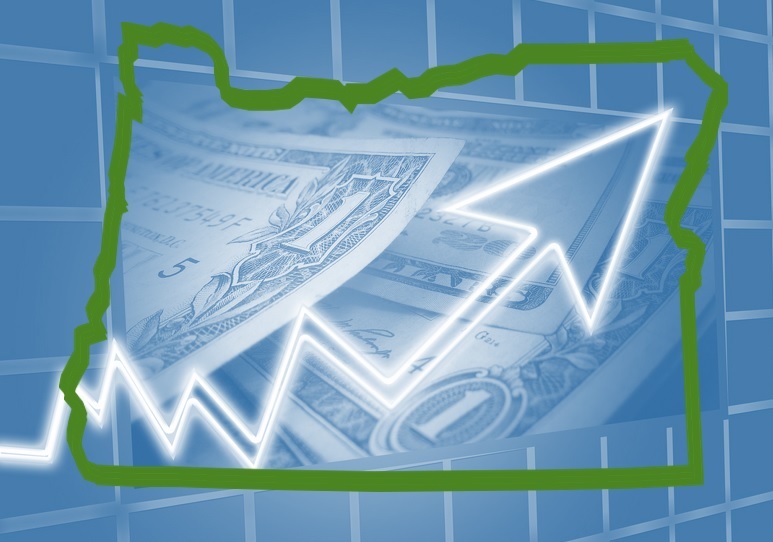 This is the University of Oregon State of Oregon Economic Indicators for April 2018. The release date is June 7, 2018. – The moving average measure, which smooths out the volatility, fell to 0.72, well above average (“zero” indicates average growth over the 1990-present period). Data has cooled somewhat compared to late last year but remains indicative of a solid pace of growth. – The manufacturing sector contributed positively; the sector currently benefits from a strong rebound from weakness in 2015-16. The household sector also made a positive contribution, but temporary employment and labor force components dragged down the gains. 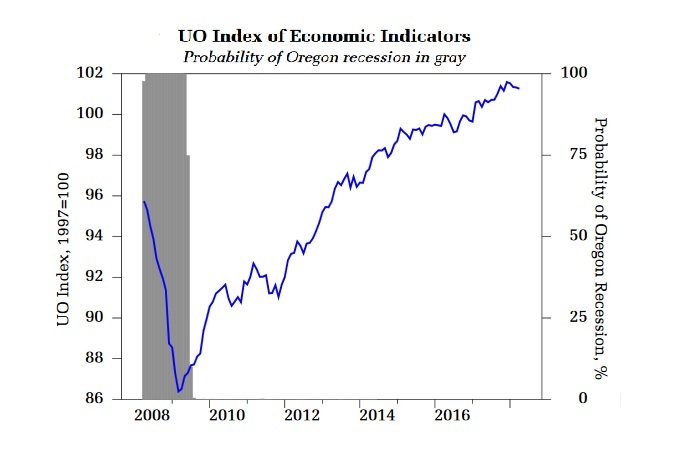 – The University of Oregon Index of Economic Indicators edged down in April. Initial unemployment claims were flat while employment services payrolls, largely temporary help workers, fell. – Building permits (smoothed) have been tracking at cycle highs of around 1,950 units permitted for the past three months. Consumer sentiment (smoothed) is likewise at cycle highs while new orders for core manufacturing goods continues to climb. – The spread between long and short-term interest rates fell; the spread will likely continue to fall due to expected further tightening of monetary policy. Note: This release incorporated revisions to new capital goods orders and the weight distance tax. Special thanks to our sponsor, KeyBank. 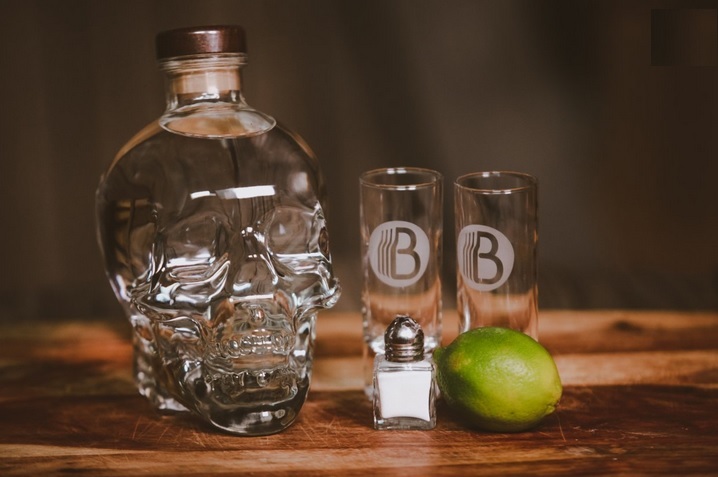 Almost everything about Dan Aykroyd’s Crystal Head vodka is unique: according to the company’s website, distilled corn and peaches are mixed with “pristine water from Newfoundland,” then the liquor is filtered through semi-precious crystals known as “Herkimer diamonds.” The unique brand story is matched by the vodka’s packaging, a memorable clear glass skull that stands out visually and on store shelves. 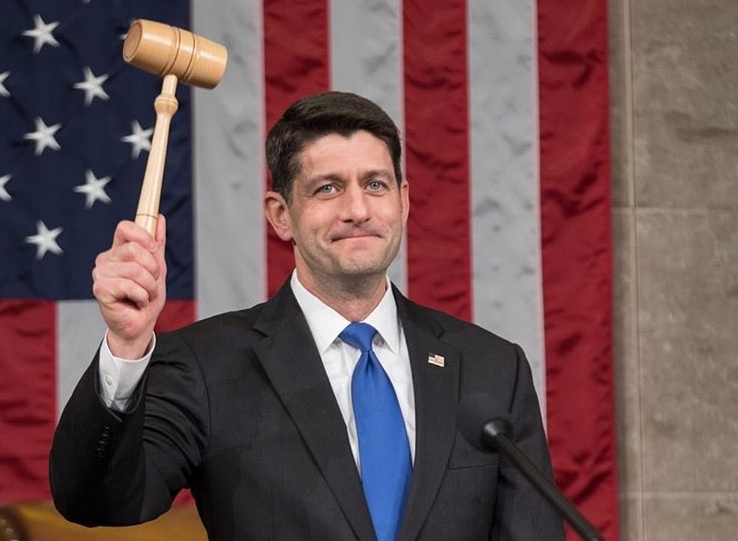 Speaker Paul Ryan aims to make 2017 Tax Cuts permanent. On Dec. 22, 2017, President Donald J. Trump signed into law the Tax Cuts and Jobs Act (H.R. 1), following passage earlier that week by the Senate and House—both along party lines. The bill is now in-effect for tax years 2018 and thereafter. While the final bill offers considerable tax relief to most small businesses, it falls short in several key areas. Specifically, as talk of a possible second round of tax cuts grows, NSBA believes that Congress should focus on fixing the national debt, simplifying the tax code for small businesses, creating stability and predictability in our tax laws, and moving toward greater parity in the tax treatment of various business forms. NSBA views this tax reform law not as an end-point but as an initial step to address a range of issues that Congress and the Administration must continue to pursue in 2018 and beyond—issues that were addressed inadequately or not at all in this bill. Oregon’s U.S. Senators Jeff Merkley and Ron Wyden, with House members Reps. Suzanne Bonamici, Earl Blumenauer, Peter DeFazio and Kurt Schrader, demanded that the acting director of U.S. Immigration and Customs Enforcement (ICE) immediately allow individuals being held at a federal prison in Sheridan, Ore., under the Trump administration’s “zero-tolerance policy” to access legal services through free phone calls.